How do I apply to send my children to the Anglophone section ? Please see the Admissions Section. Can the entrance tests be taken before arrival in France? No, they have to be taken at the CSI on specific days. Dates of the next tests are to be found in the Admissions Section. Can we confirm places prior to the entrance tests? No, all children must take the tests first. Are there places available for my children? Before the beginning of the school year, this depends on the number of applicants and their test results. For children arriving during the year, it depends on the number of pupils already enrolled in their class level. Please contact the APESA office before applying. Please see Admissions and School Fees for more information. What are the nationalities of the students? There are approximately 25 different nationalities within the Anglophone Section itself, from countries all over the world, including French families who have lived abroad. The other international sections within the CSI are: Italian, German, Spanish, Portuguese, Japanese, Oriental (Arabic),Polish and Chinese. Is there a special needs department? No, not at the moment. In the French system, children with special educational needs are usually referred to outside specialists and can, in certain cases, benefit from an individualised education plan which is set up by the specialist in question in co-ordination with school teaching and medical services. Can parents and students visit the school and see the classes? Appointments are always possible, please contact the APESA Office for more information. Where can I find details of the curriculum ? Details of the curriculum followed can be found in the relevant sections (Primaire, Collège and Lycée). 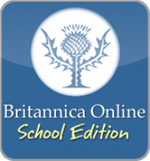 A list of school holidays for the current school year can be found in the Practical Information section of this website. Lists for other years and other zones can be found at http://www.education.gouv.fr/. Lyon is in zone A.